Homescapes of New England is a family run business. 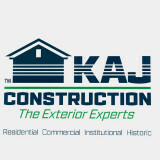 We have 30+ years of building industry and remodeling experience. Lynette Rogers, Owner, worked for James Hardie Building Products as a Product Marketing Manager for seven years and is very familiar with the great benefits James Hardie products offer homes all across the country. Karl Rogers has worked on movie sets, built homes and condos, large commercial buildings as well as run his own remodeling business. 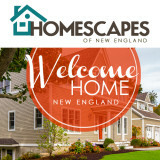 At Homescapes of New England, LLC we have over 30 years of building industry and remodeling experience. So you can rest assured that your home and vision is in good hands. We believe in delivering unparalleled customer service and quality craftsmanship on every home we touch. By providing the best products on the market for your home, Homescapes of New England only offers James Hardie Siding products which is the perfect siding for the New England climate. As you know, the New England weather is unforgiving when it comes to causing damage to your house. When you’d rather be out gardening, hiking or playing golf, with typical vinyl or painted homes, you will find yourself scraping and painting your home or having to replace the vinyl siding that blew off in the last wind storm during the peak summer months. We look forward to working with you! What types of siding services do Acton exterior contractors provide? Wood siding needs more maintenance than less-expensive, low-maintenance vinyl siding, but with proper care it will outlast vinyl siding, which can fade and crack over time. Your Acton, MA contractor might also suggest fiber cement siding, which is fire resistant and termite-proof and can come with a warranty of up to 50 years. Find siding and exterior contractors in Acton, MA on Houzz. Narrow your search in the Professionals section to Acton, MA siding and exterior contractors. Find out how long an Acton, MA exterior remodeling contractor has been in business, view portfolios, read reviews and get contact information.